American Betrayal By Diana West | What Would The Founders Think? In this exhaustively researched book, Diana West reveals how critical information has been withheld from the American public, how Americans have been misled and systematically lied to by the U.S. government and how, with the aid of a complicit press corps, public opinion has been deliberately manipulated to replace facts with false narratives. No, this isn’t about the Obama administration, although the similarities are discussed. The description is of a time before most people reading this blog were born. So, for the sake of context, (and for high school and college students unschooled in history) a brief chronology may be helpful. February 1917The Russian Revolution overthrows the Imperial Government of Russia and the Provisional Government is installed. Freedom of speech and assembly are declared and czarist restrictions on minorities are lifted. Lenin dies and Joseph Stalin begins taking power by eliminating competitors from important Party positions. Stalin imposes the Great Famine on Ukraine. Money from the confiscated wheat and other agricultural products is used to finance industrialization. An estimated seven million men, women and children die of starvation and brutality. Stalin holds “show trials” using trumped up charges to condemn suspect Party members to death. He purges the military and millions of innocent Soviet citizens, killing many and sending the rest to labor camps. Is that the kind of government with which the U.S. should have established diplomatic relations? Franklin Delano Roosevelt apparently thought so despite the example of four presidents and six secretaries of state whom, for over a decade, refused to recognize the Soviet government. These Americans leaders understood that the Bolsheviks’ seizure of the government by force, their reign of blood, their pledge to conspire against other governments, made the ‘mutual confidence’ required for diplomatic relations impossible. Roosevelt ignored the advice of key experts in the State Department as well as credible eyewitness reports of the Communist carnage. The U.S. recognized the Soviet Union. Recognition rested on a series of promises agreed to by Stalin and signed by Foreign Minister Maxim Litvinov. The agreement listed what the Soviet Union would not do. 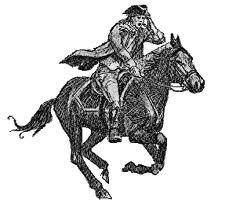 It would not attempt to subvert or overthrow the U.S. system. Specifically, It would not form or support groups inside the United States–such as the Soviet-supported and directed CPUSA and its myriad front groups. The agreement, in other words, was a bunch of lies, the first bunch of lies of many. To make it all stick, however, to keep the sorriest of bad bargains, to perpetrate the myth of US-Soviet accord, the United States had to pretend otherwise. The United States had to retire to a new fantasy world of its own creation in which the Soviet Union was keeping its word, in which Soviet -directed and financed espionage did not exist… In which Communists were not under every bed, in which even the act of looking was ‘Red- bating’ and anti-Communists were paranoid about ‘bugaboos’ As our most respected and beloved leaders sought refuge in this world of pretend, they led the nation on a disastrous retreat from reality from which we have never, ever returned. In our retreat, we left morality behind, undefended. So what or who inspired FDR to reverse course? While noting that the official record offers no answer to that question, West points out that Roosevelt believed in “convergence.” As a dedicated progressive he believed that the Soviet Union and the United States were moving toward one another. Stalin would become more democratic over time and we would become more socialistic and less capitalistic. As it turned out, the only moving was done by the United States, much to our moral and military disadvantage. The author cites historian Robert Conquest who wrote that the first successful implementation of the “Big Lie”– the concerted assault on truth to form world opinion was the Soviet-engineered famine in Ukraine. Conquest called it a Faustian turning point. But Stalin had a profound understanding of the possibilities of what Hitler approvingly called the ‘Big Lie’. He knew that even though the truth may be readily available, the deceiver need not give up. He saw that flat denial on the one hand, and the injection into the pool of information of a corpus of positive falsehood on the other, were sufficient to confuse the issue for the passively instructive foreign audience, and to induce acceptance of the Stalinist version by those actively seeking to be deceived. West sees this as the “seminal moment” in the history of the world. The seminal moment, perhaps, of the 20th century, a moment in which history itself, always subject to lies and colorations, became susceptible to something truly new under the sun: totalitarianism; more specifically, the totalitarian innovation of disinformation, later expanded, bureaucratized and, in effect, weaponized, by KGB-directed armies of dezinformatsiya agents. In George Orwell’s words, “history being written not in terms of what happened but of what ought to have happened according to various party lines.” The journalists who misled the public about the famine in the Ukraine are one example. 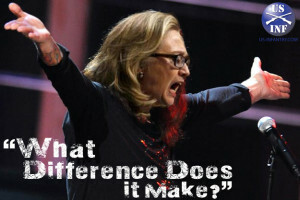 The media’s unquestioning acceptance of Obama’s Benghazi narrative is another. West’s history tour begins with U.S. Diplomatic Recognition. This reviewer was initially reluctant to go along. West admits to the same reaction while researching American Betrayal, but the weight of the evidence persuaded her to continue, as it did this reviewer. Learning what Americans were not intended to know raises many disturbing questions. Why. were materials far in excess of what could be militarily justified sent to Russia under the Lend-Lease program1? The shipments took place before, during and after the war (“which quickly became Soviet Cold War supplies”). George Racey Jordan, a supervisory “expediter” of Soviet Lend-Lease, was stationed at Great Falls Montana, the hub of the Soviet pipeline. According to Jordan, top-secret documents and materials were included in the shipments and the planes that took the shipments out brought Russians agents in. But Jordan’s testimony to these events, although corroborated by the FBI, was soon lost in a fog of character assassination and official disapproval. Why did the United States and its allies conceal the Soviet murder of 22,000 Polish Army officers? 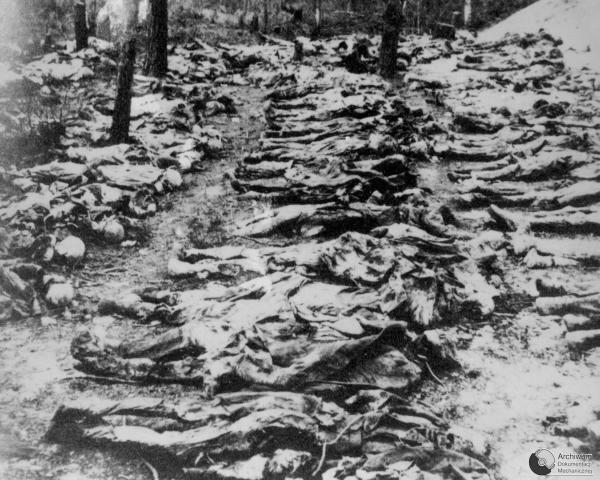 Stalin ordered the executions, known as the Katyn Forest Massacre, to destroy Poland’s capacity to resist occupation. 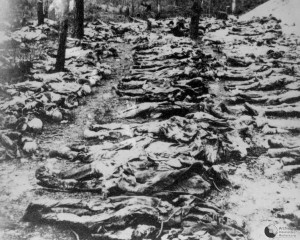 Although the evidence that the Russians committed the atrocity was beyond dispute, Moscow claimed that the Nazis were responsible. On April 23rd Elmer Davis, a famed journalist, radio personality, and chief of the Office of War Information, broadcast a report parroting Soviet lies that Katyn was a Nazi crime, setting the line for U.S. government information agencies that would not be broken until 1951. Why was the D-Day assault through Northern and Southern France rather than through already established bases in Italy? The decision to abandon Italy as an expanding leading front at the end of 1943 made very little sense – unless, cynically, the true objective was to ensure that Central and Eastern Europe remained open for Soviet invasion. But worst of all unanswered questions is why 25,000 U.S. servicemen (former German prisoners) were abandoned in the Red Zone? (The number comes from a cable sent on their behalf by Supreme Commander Dwight Eisenhower.) After Stalin refused repeated requests for their release, George H. Earle wanted to go to the newspapers with the story. On March 24, 1945, a letter “would go out to George Earle over FDR’s signature that “specifically forbade” the former Pennsylvania Governor, erstwhile New Deal ally, and wartime envoy to assorted European capitals to publish any fact that put the Soviet Union in a bad light even, as such facts were pouring in on everyone’s head. Finally, Stalin simply denied that the prisoners existed, despite sightings of Americans reported by former inmates of the gulag. And like so much else involving the Soviets, the issue simply disappeared when American officials declared that the missing were MIA. And there is more, much more to shake confidence in what we thought we knew. A swath of books by Soviet defectors, American whistle blowers, and former fellow-traveling journalists, as well as testimonies from Whitaker Chambers, Elizabeth Bentley and others revealed the extent of Communist penetration before, during and after WW2. Much of this material was available at the time but those responsible were derided and dismissed as “Red-baiters” and worse. Expert estimates now peg the number of Americans assisting Soviet intelligence agencies during the 1930s and 1940s as exceeding five hundred. …More than five hundred willing and variously able American traitors, many operating at the very highest levels of the federal government, with who knows how many more in support roles. This was a national fiasco of a magnitude that has never, ever, entered national comprehension. Academia, the press corps and Hollywood did not lack for Soviet sympathizers, front groups and fellow travelers who took their direction from Moscow. The much-maligned Joe McCarthy is vindicated by the facts, although not in the way he is remembered. Following the collapse of the Soviet Union in 1991, internal Soviet documents and the (still being decoded) Venona1 Project became available, but was suppressed. … Harry Truman for example, was informed as early as 1950 that findings from the Venona Project confirmed both Assistant Treasury Secretary Harry Dexter White and former State Department official Alger Hiss as Soviet agents? These aren’t just questions about what took the government so long. They are more urgently questions about what moral compass, what petty political considerations, allowed these powerful men to permit American citizens such as Chambers, eventually, and many, many others including their defenders (elected representatives, law men, investigators, and journalists, not to mention anti-Communist citizens and refugees), to be pilloried, undermined, and personally destroyed, hounded from a public square scrubbed clean of the truth. Lest anyone think that West is simply picking on Democrats and their icon FDR, she does not spare Republicans for their connivance. West is at her best when she sticks to the evidence and reveals how public opinion was (and still is) shaped by what was hidden or manipulated. She is on less certain ground when she attempts to retrospectively determine the extent of the Communist influence on various wartime decisions. Some reviewers also take issue with West regarding implications that Harry Hopkins, Roosevelt adviser and confidant, was a Russian agent. This reviewer thought the record damning enough for it to be well within the realm of possibility. Readers will make up their own minds. Others may find the author’s style somewhat off-putting. Her writing is, by turns, tendentious, passionate and funny. She has a journalist’s talent for grabbing readers’ attention. That historians have demonstrated little or no interest in these revelations and have not seen fit to re-examine some assumptions is reason enough to read American Betrayal. This review barely scratches the surface. West sees relevance to the present. The consequence of decades of obscuring the Soviet record is that the ideas associated with Communism “remain shockingly reputable.” She contends that class warfare “the basic tenet of Marx 101,” a staple of President Obama’s rhetoric, and his “spreading the wealth” rejoinder to Joe Wurzelbacker should have set off alarm bells. Islam, we are told, has nothing to do with anything jihad. Islam means peace, said the 43rd president of the United States. No, the fact is the term Islam means “submission.” There is a big difference, and it explains why Islam celebrated the fall of the twin towers in Gaza, Kabul, and Queens… What we were witnessing was the marshaling forces of the latest, greatest Big Lie. West follows the emergence of “violent extremism” and the banning of words like jihad, sharia, Islamic terrorism, and Muslim violence. The Obama administration not only resists the idea that the ideology of Islam is a threat, we are asked to believe the real threat is “violent extremism.” A euphemism that means whatever the powers-that-be want it to mean. Those who reject that narrative find themselves under fire from the political correctness crowd led by Muslim pressure groups. “Just as simultaneous Communist alliance and penetration once disabled our defenses, today, simultaneous Islamic alliance and penetration do so again.” According to evidence uncovered in the Justice Department’s 2008 Holy Land prosecution, the Hamas-founded Council on American-Islamic Relations is the Palestinian wing of the Muslim Brotherhood. The Muslim Brotherhood claims twenty-nine front and “friendly” organizations in North America. This is not supposed to concern us. We are all to enter the fantasy world inhabited by the Obama administration where the West and sharia can co-exist and we all live happily ever after. Never mind the repeated and open declarations by sharia law advocates of the desire to kill us in our beds or wherever they can find us. But they need not worry. No one is listening. 1. Lend-Lease was a Roosevelt administration program begun before America’s entry in the WW2 to provide aid to Britain and other nations allied against Germany. It was expanded under Harry Hopkins and provided lavish aid to the Soviet Union far beyond what could be justified by military necessity and at the cost of grave American needs in the South Pacific. 2. The Venona Project was a counter-intelligence program initiated by the US Army Signal Intelligence Service that lasted from 1943 to 1980. The program tried to decrypt messages sent by Soviet Union intelligence agencies, foreign intelligence, and military intelligence services. At least 3,000 messages were at least partially decoded and translated. It remained secret for almost a decade and was not officially declassified until 1995. I intend to order her book, but I’m curious did she mention the USA/USSR ,1958 Agreement, signed by President Dwight D. Eisenhower? Did she mention the 1985 USA/USSR/Carnegie Corp. of N. Y. Agreement signed by President Ronald Reagan? Just think about the 1958 date – during the the “Cold War”. The 1985 Agreement gave the Soviet Academy of Science and the Carnegie Corp. of N. Y. the right to develop joint computer software. This information should be available on the web. Google it! Some of us worked very hard to expose and stop this merger with the Communist. What we are seeing now is their educational system of training young children for the planned workforce under the guise of Common Core. It is the method that is so bad. Our government and foundations have been sponsoring these awful behavioral conditioning methods to bring us to this point for years. Straight out of the old Soviet Union! She is not the first to write about this serious problem of media and government control, but good for her and all like her. Thank you, Martin, for writing this great blog!